Three Tone Madison writers discuss the year in Madison music. Lovely Socialite performing at Art In in July to celebrate the release of their "DoubleShark" EP. We've been writing this week about our favorite music that artists from Madison released in 2017. We put out our top 20 Madison records of 2017 list and we've got a couple other things detailing more releases that made a mark in the local music community this year. 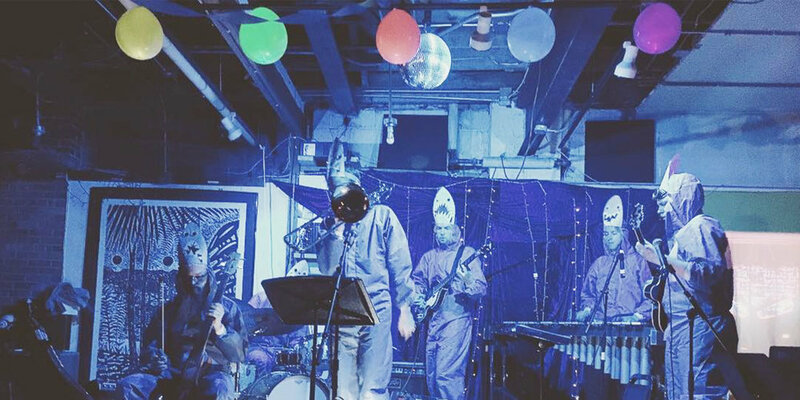 As always, it's been a varied year for Madison music, with an ever-changing mix of genres, new talents coming out of the woodwork, and established local artists coming through again. The music we liked in Madison this year tended to have a habit of defying or just disregarding genre barriers, and of course it went beyond recorded output. Tone Madison's Scott Gordon, Emili Earhart, and Grant Phipps sat down to discuss our year-end music coverage.